Homeless youth are at increased risk of being victims of human trafficking. Researchers from the University of Pennsylvania and Loyola University, in collaboration with Covenant House, completed the most comprehensive study to investigate the linkage. The report, released this year, found that 19.4% of youth were victims of human trafficking, over half had experienced labor trafficking. We are failing these children.  Freedom Network USA (FNUSA) members report that housing remains the largest obstacle to supporting survivors in rebuilding their lives, including youth who face unique challenges. Despite this, critical funding for youth housing services has repeatedly failed to be reauthorized by Congress. FNUSA joined partners like the National Network for Youth this year to urge Congress to reauthorize the Runaway and Homeless Youth Act. Our members and staff brought the issue directly to multiple members of congress during our bi-annual Advocacy Day to discuss how addressing youth housing is a tangible and real way to prevent human trafficking in the United States. Freedom Network USA supports policies that increase safe housing options for all survivors. When a person’s basic needs are not being met, they become vulnerable to exploitation in an effort to meet those needs. We look forward to increasing our impact in 2018 with our new FNTI Housing Training and Technical Assistance Project. This project will bridge knowledge and resources between the anti-trafficking and housing movements. There is still much work to do. Every young person deserves a safe and supportive environment to call home. Their lives count. Join the fight today. Donate now.